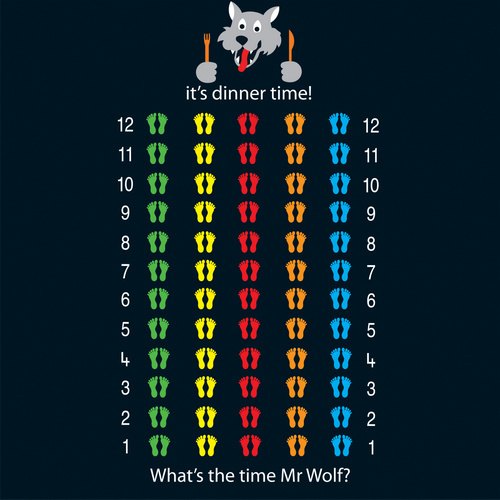 What time is it Mr Wolf? Dinner time! Our 4 person version of this playground game is a great way to keep kids active at play time. The Mr Wolf game can be varied to accommodate as many players as you require and will surely be a playtime favourite.